well, we've got a boy on our hands!!! 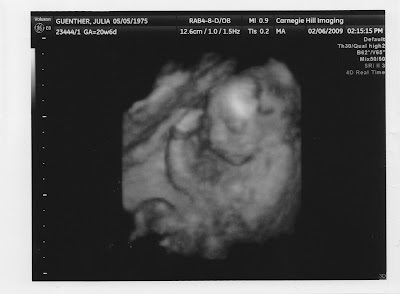 today we got to see baby duke after 8 long weeks. 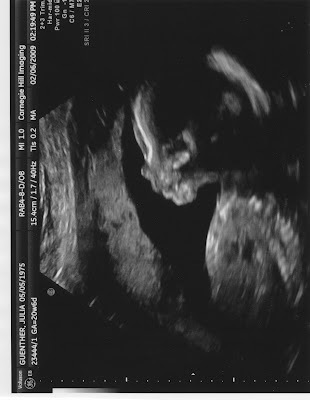 its a joy to see this little person waving around, gulping, squirming....its so much more REAL now that we know the gender. here are 2 pictures they gave us, bottom is a 3d image. he looks like doug already!!!! !